What a whirlwind past few days it has been here at our temporary HQ in Mexico City. 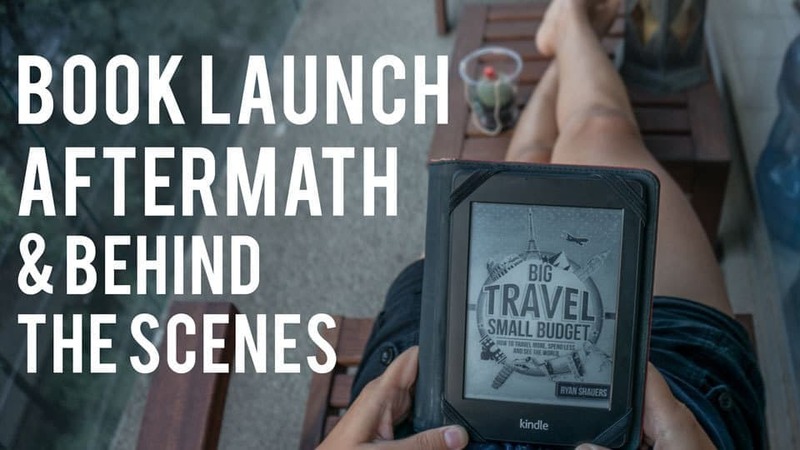 If you somehow missed it, I launched my new book Big Travel, Small Budget: How to Travel More, Spend Less, and See the World. In total, I received 13,248 free downloads of the book over the promotional period. It maxed out on Day 2 with nearly 5k downloads in one day! It shot to the #1 free non-fiction spot in the Kindle store and #26 overall before dropping down to the middle of the Top 100. The book was exploding all over the place and I’m not even sure where all it was featured, though a few have been brought to my attention. During the launch process the book also received 36 reviews, mostly four and five stars! I’m very happy. Today the book went up in price to 99 cents (still an absolute steal!) and I’m so sorry if you missed out on while it was in the free promotional period. Obviously, switching from free to paid will be the biggest test. 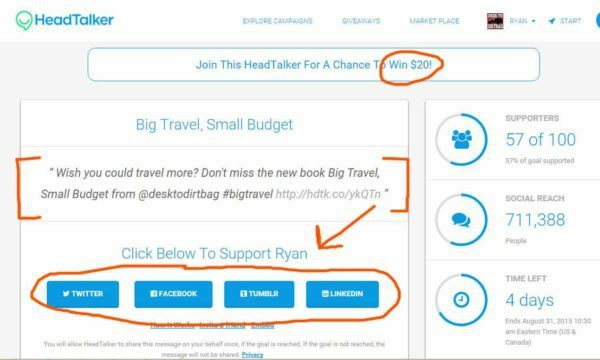 I have one BIG ask for each of you and that is to back my Headtalker campaign (I’m currently at 57% of my goal) which costs you nothing but your social commitment, and will sent an update on Monday morning for my book to either Facebook, Twitter, or LinkedIn. Just click on the social media channel of your choice to support the book and for your chance to win. The update will happen simultaneously among all the backers accounts and will create a new wave of visitors to my Amazon book page. If you’ve finished reading the book already, please be sure to leave a review on Amazon. Social proof goes a long way. Thank you so much to each and every one of you who helped make this book launch a success! I’m so blown away, humbled, and grateful for the support!